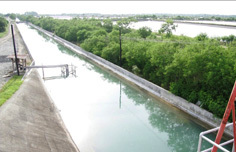 We maintain the largest bangus growing and processing operation in the country, which includes 400 hectares of brackish water ponds. Our fish and seafood grow under the most ideal conditions, enjoying adequate room for good fish growth and more than enough dissolved oxygen in the water. 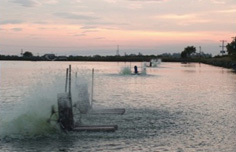 We ensure that paddle wheels aerate the water continuously to maintain healthy oxygen levels in all ponds. We also have a salt water intake inlet, where the pristine waters of Sarangani Bay are taken in to irrigate our bangus ponds. A virtual marine paradise! Paddle wheels aerate the water in ponds to continuously maintain healthy oxygen levels. 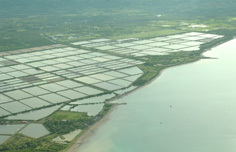 Salt water intake inlet – where pristine waters of sarangani bay are taken in to irrigate bangus ponds.